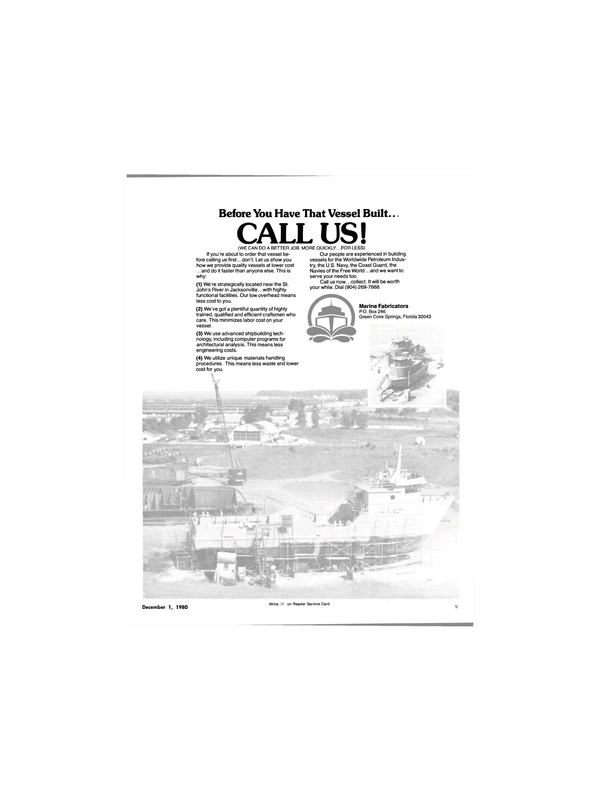 The American Bureau of Shipping (ABS), an international ship c l a s s i f i c a t i on society, has published the 1980 edition of Rules for Building and Classing Steel Vessels for Service on Rivers and Intracoastal Waterways. Many sections in the new edition contain revised data, the most significant being in Section Five. It incorporates standards regarding the design and construction of barges intended to carry danger- ous cargoes in bulk that are in Title 46 of the Code of Federal Regulations. Calculations showing compliance with these requirements are to be submitted to ABS for review. Alternatively, ABS will accept written evidence that barges carrying dangerous cargoes in bulk are in compliance with U.S. Coast Guard regulations. Section Three includes new buckling requirements for deck and trunk structures of tank barges. Section Seven includes new requirements for steering gear tests and steering gear operational controls based on experience ABS has gained with these systems since the previous edition was published in 1971. , The cost of the 1980 edition of the Rules for Building and Classing Steel Vessels for Service on Rivers and Intracoastal Waterways is $20 in the United States; $22 in Canada, Central America, Colombia, Mexico, and Venezuela; $24 in other South American countries, Europe, and North Africa; and $26 in other African countries, Asia, Australia, and the Middle East. Copies can be ordered from the Book Order Section, American Bureau of Shipping, 65 Broadway, New York, N.Y. 10006, or from local ABS offices. State and local taxes should be added to the cost of the book where required.